The 2016 Carolina Global Photography Exhibition, on display from Jan. 11 to April 1 at the FedEx Global Education Center, featured photography from around the world by UNC alumni, faculty, staff and students. 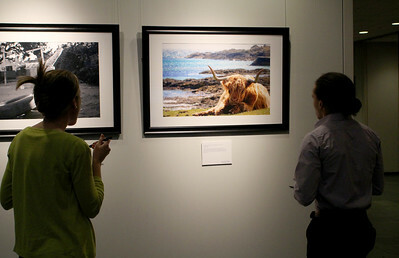 All photography on display was submitted as part of UNC’s 16th annual Carolina Global Photography Competition. 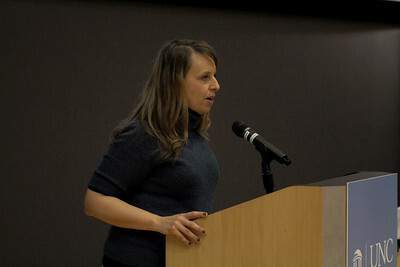 The exhibition’s opening reception and awards ceremony took place on Feb. 10 at the FedEx Global Education Center. This year each area studies center and departmental unit housed in the building selected a photo representing its mission, vision, academic focus and/or world area. 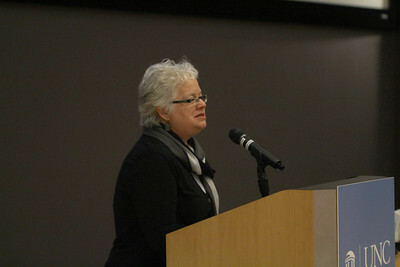 First, second and third place winners as well as the Chancellor’s Choice and thematic honorable mentions were honored. 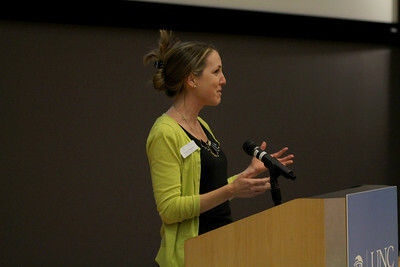 Katie Bowler Young, director of Global Relations, announces the Honorable Mentions. Emily Marlton, Northern Europe and Oceania programs director for the Study Abroad Office, announces the GEC Spotlight winner for Study Abroad. 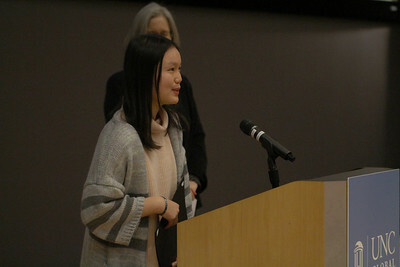 Lucy (Silu) Hu accepts her award for the International Student and Scholar Services’ GEC Spotlight. 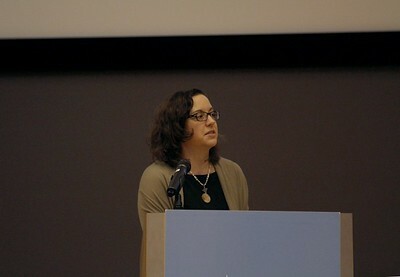 Beth-Ann Kutchma, senior program officer for the Center for Global Initiative, announces the GEC Spotlight winner for the Center for Global Initiatives. 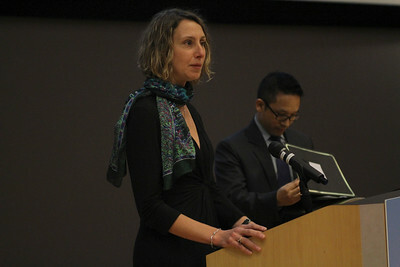 Martha Holelzer '00 (Kenan Flagler School of Business staff member) accepts Carolina Asia Center's GEC Spotlight. 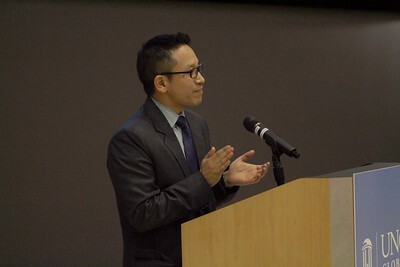 Thupten Norbu, associate director of the Carolina Asia Center, announces the GEC Spotlight winner for the Carolina Asia Center. Barbara Anderson, associate director of the African Studies Center, announces the GEC Spotlight for the African Studies Center. Photographers, friends and family attend the reception. 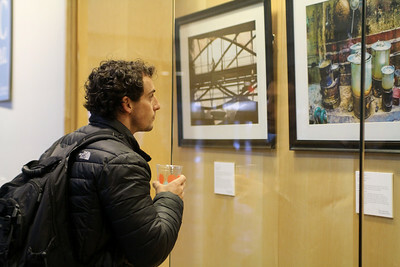 Reception attendees look at photographs in the first floor atrium of the FedEx Global Education Center. 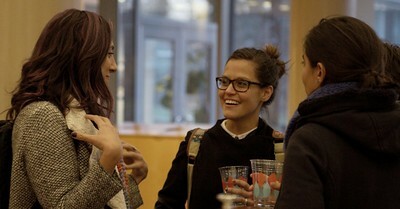 Second place winner Gabriela Arp '16 M.A., center, mingles at the reception. 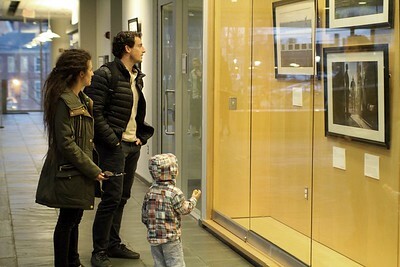 Ryan Seguin '17 M.P.H., a Chancellor’s Choice winner, looks at the Chancellor’s Choice photographs in a display case in the atrium of the FedEx Global Education Center.